Philippe Coutinho must not abandon his Barcelona dream, says Hristo Stoichkov, who is backing the Brazil star to find his feet. Hristo Stoichkov has addressed an open letter to Philippe Coutinho, telling the misfiring Barcelona star to stay at Camp Nou and fulfil his potential. 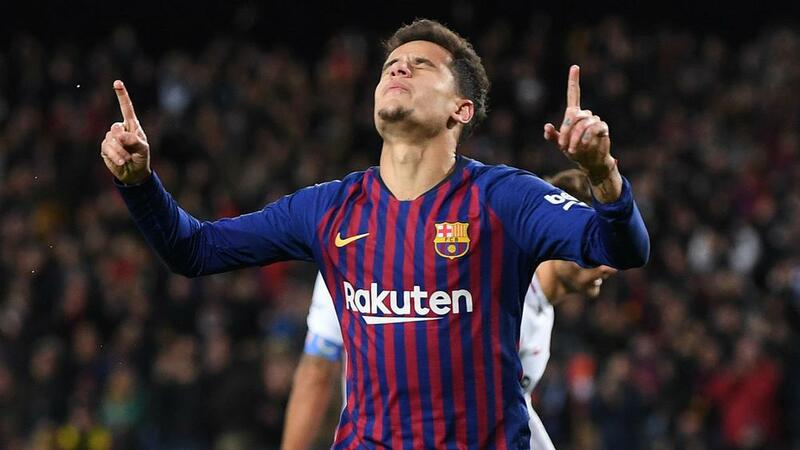 Coutinho has not hit the heights expected of him in Spain this season, scoring just eight times in all competitions, although he netted twice in the 6-1 Copa del Rey demolition of Sevilla last week. The former Liverpool star again struggled to make an impact as LaLiga leaders Barca drew 2-2 at home to Valencia on Saturday, but he has the support of Stoichkov. The Barcelona great, who won for consecutive league titles, the European Cup and the Ballon d'Or during his first stint with the club, claims he had similar issues to Coutinho when he first arrived at Camp Nou. Reports of a return to Anfield were dismissed by Liverpool boss Jurgen Klopp last month and Stoichkov wants Coutinho to keep working and establish his place as one of the club’s best ever imports. "The club is not an easy club and I, in my early months, was similar," the Bulgarian wrote in Mundo Deportivo. "I know what it feels like when things do not go the way you want them to, but I am convinced that with work and sacrifice you will get there. You have everything in terms of quality. You are one of the best foreigners to have played for Barca. "You have a lot of football left in your boots and the only thing you have to think about is enjoying it. "Enjoy it as you do with the Brazil team. I also tried to enjoy it as I did with the Bulgarian team and ended up enjoying it the same at Barca. "You should never be discouraged because, from what I've seen, the fans are with you and they really want you to succeed. Think of it as the best hobby in the world and it will always support you, as it did with me." Stoichkov added: "Do not even think about changing team, as I have read that could happen. "There is no other club like ours. It's more than a club. And you will not find another team, with your friends [Lionel] Messi, [Luis] Suarez and Co, in which you can have such a great time doing what you like most, playing football. "I wish you all the best, with all my heart. I am sure you will make history at Barca."